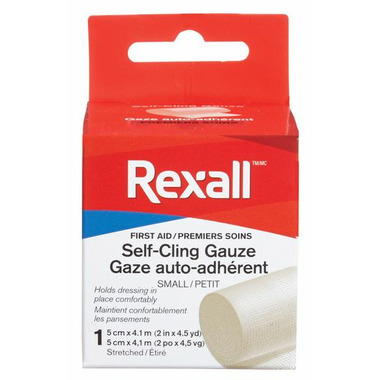 The Rexall Self Clinging Gauze Bandage is a compression bandage that is excellent for dressing needs with a lower compression. Holds dressing in place comfortably. To use: Clean wound thoroughly. Cover with sterile pad. Wrap with self-cling gauze and tape securely.